Deluxe three CD set in box including patch. 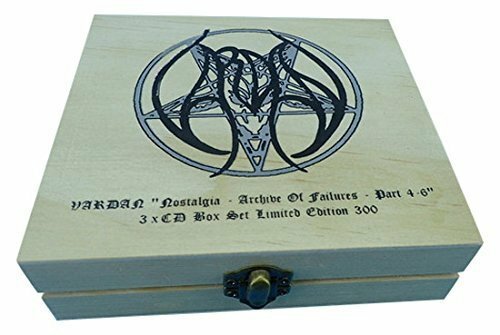 2018 release, volumes 4-6 in the Nostalgia- Archives of Failure series, provides all the somber, melancholic, atmospheric and reflective black metal that Vardan fans have come to expect. Vardan stands at the forefront of the modern black metal/doom/atmospheric scene. 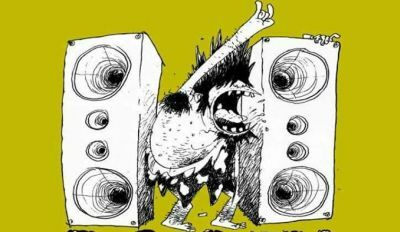 Breaking expectations, bending boundaries, destroying the norm and treading new ground for the entire metal genre... while forging a new path that is uniquely Vardan's. Nostalgia - Archive Of Failures is a sextology of unreleased material issued as six separate albums. Silk-screened wooden box compiling the final three albums in the "Nostalgia - Archive Of Failures" series.In addition to the “Nostalgia” Part 4, 5 & 6 CD’s, the Box Set includes an EXCLUSIVE 11”x17” poster, 4” album cover woven patch, 1 ¼ “ logo metal pendant, 3” clear sticker & more! Limited to 300, hand numbered.